Goyal Orchid Whitefield is an oasis to itself. It’s 7 acre sprawling campus is designed by world renowned landscape architects who have ensured that 85% of the total campus area is landscaped. The campus is equipped with everything that new age living can ask for. A sports complex with various games, to a swimming pool, to gardens, to senior citizen enclaves, from kids play areas to vehicle safe roads, the campus is an experience in active living for all age groups. When it comes to recreational facilities and keeping you engaged, Orchid Whitefield stands apart with a sports complex, toddlers activity zone, fully loaded clubhouse, lush landscape gardens, and a special area marked for senior living. And that’s not all, for working professionals, perhaps for the first time in a residential enclave, we have introduced a WiFi garden. So this is it, the Whitefield you were waiting for, come live and enjoy life with your loved ones at Orchid Whitefield. Whitefield is an integral part of Bangalore. Whitefield remained a quaint little settlement to the east of Bangalore till the late 90’s when the local IT boom turned it into a major suburb of Bangalore. The locale is well connected to the rest of Bangalore via it’s four lane roads through the Mahadevpura and Varthur. The railway station and bus depot are in close vicinity which makes the reason easily accessible in more than one way. With the upcoming metro project proposal for the area, which is adequately developed with the presence of malls, convenience stores, hospitals and education centres, Whitefield is quick emerging to be THE ‘lifestyle’ community. 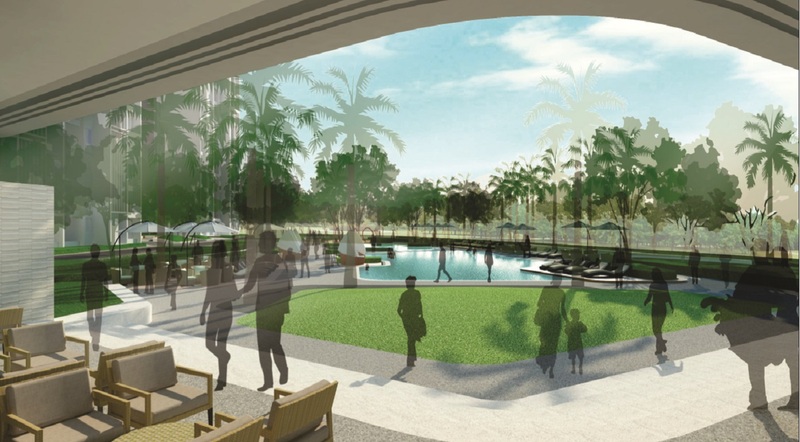 Orchid Whitefield is spread across a 7 Acres of land parcel is designed by best of the designers of the world. The architect have designed the landscape in such beautiful way that around 85% of area is landscape or lungscape as popularly termed as by the developer. The project is divided into 5 blocks depending upon the building configuration like 1 BHK, 2 BHK , 2 BHK Nano, 2.5 BHK & 3 BHK. Developer has tactfully created recreational activities zone for people of all age group. One of the USP of garden is availability of wifi connection. The Interiors are designed overlooking the requirements of residents. Vitrified tiles are used for flooring, granite counter is provided in Kitchen are few of the amenities provided in the apartment.